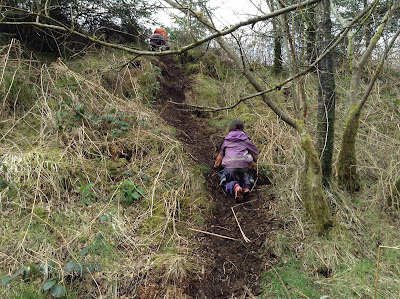 Learning for Life: A busy week of outdoor fun! A busy week of outdoor fun! Finally, this week we got some lovely Spring weather - the sun shone & it was warm & dry all day. The children embraced the opportunity to shed their coats & explore playing in the mud kitchen without having to get on their rain gear. This class has very different play patterns from other years & it has taken them until now to discover the potential fun of the Bottle Babies! 2 children decided to put them in some crates & this then became a jail for all the Bottle Babies - apparently when asked if they promised to be good in order to be freed from jail, the Bottle Babies had replied 'No'! The whole school had a gardening day up above the nursery opposite Bear Woods & the children were brilliant at getting all the weeds out of one of the planters & then putting some seeds into another planter. Normally on the way back down, as the path leads into the car park an adult has to go first but I had rediscovered some cans of playground marker paint in the store & decided to add a red line at the bottom of the path so the children can run ahead & have a visible mark of where to stop & wait for an adult. I also added some numbers to our playground with the paint. The trees are all blossoming in the playground & the children enjoyed picking some blossoms of the cherry tree to add to their 'cooking' in the mud kitchen. The Christmas tress given to us by An Creagán in January are now providing great needles to be used in the mud kitchen for recipes too! 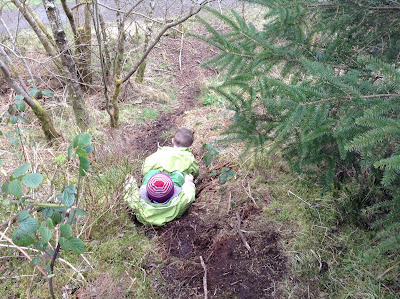 We had our first trip to the Wild Woods at An Creagán this week too & the children loved looking for trolls under the bridge, climbing up & sliding down the steep banks. 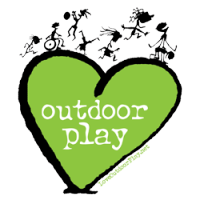 I know this lovely weather won't last for ever but it has made for a fabulous week of outdoor fun! I really like this set of photos! The views expressed here are my own. They are not those of my employer. Parents – Stop Worrying and Let Your Children Climb Trees! 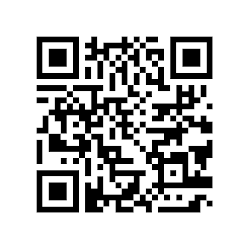 Scan this QR code to your Smartphone. It is ok to be alone! Picture Window theme. Theme images by selensergen. Powered by Blogger.